The Blue Heron Holistic Center was developed to provide the community with services and classes that promote holistic lifesyle and well being with a strong focus on Oriental Medicine. Oriental medicine is used to prevent illness, diagnose and treat disease and improve well being. Cosmetic Acupuncture involves specific techniques to reduce fine lines, lift skin, stimulate collagen and elastin production. This protocol typically involves ten sessions to create visible changes to make you look younger and more refreshed. At Blue Heron Center, we use different techniques to get the best result. It is a purely natural way to help your skin revitalize! Since the sessions involve balancing the body too, there are no side effects, only side benefits. Many clients report sleeping better, feeling more balanced and having a sense of greater well-being. Call today for your free consultation and learn how you can look and feel better too! 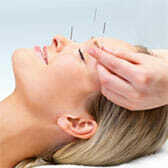 Acupressure is a system that has been practiced in the world for centuries. It is easy to learn and creates profound physical and mental change through easy relaxation techniques. Using finger pressure on specific energy points awakens the flow of qi while muscles and nerves relax. A deeper experience of the energy state in the body can be felt. It is a relaxing modality and comfortable for the client. Acupressure can be done with the client relaxing on a massage table fully clothed. The results bring a feeling of ease and flexibility with renewed enthusiasm for life. 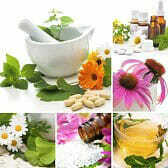 Herbs aid recovery from colds, flu and injuries. They also have been proven to enhance the digestive process while maintaining body rhythms and functions. Prescriptions are patent medicines and teas. 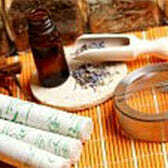 In traditional Chinese medicine (TCM), herbal therapies are generally formula based and single herbs are rarely used. TCM holds that every medicinal substance has its strengths and its shortcomings, and each ingredient in the formula should be carefully balanced in quality and quantity, in order to accentuate its efficacy while reducing side effects.